Roger Daltrey of The Who has announced plans to publish his memoir in the fall of 2018. The Bookseller reports the project will be released through Henry Holt and Company in America and Blink Publishing in the United Kingdom. “It’s great that I’ve found a young, enthusiastic publisher, an upstart in the world of books, to publish my story. It feels like the right fit,” said Daltrey in a statement. “I've always resisted the urge to 'do the memoir, but now, finally, I feel I've enough perspective. When you've spent more than half a century at the epicenter of a band like The Who, perspective can be a problem. Everything happened in the moment. One minute, I'm on the factory floor in Shepherd's Bush, the next, I'm headlining Woodstock." 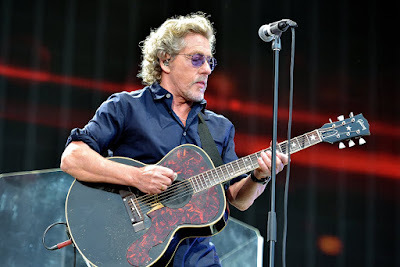 Daltrey has been working on the project while juggling recent world tours with The Who. “It's taken three years to unpack the events of my life,” he adds, “to remember who did what when and why, to separate the myths from the reality, to unravel what really happened at the Holiday Inn on Keith Moon's 21st birthday. "I hope the result is more than just another autobiography. I've been lucky enough to live in interesting times. I've witnessed society, music and culture change beyond recognition. That I'm still here to tell my tale when so many others around me didn't make it is nothing short of a miracle." Daltrey’s autobiography follows bandmate Pete Townshend‘s memoir, “Who I Am”, which was issued in 2012. Following a recently-completed 2017 tour with The Who, Daltrey will launch a brief solo run in North America in Clearwater, FL on October 30.